ZCash is a decentralised payments network, designed to offer users greater privacy options. 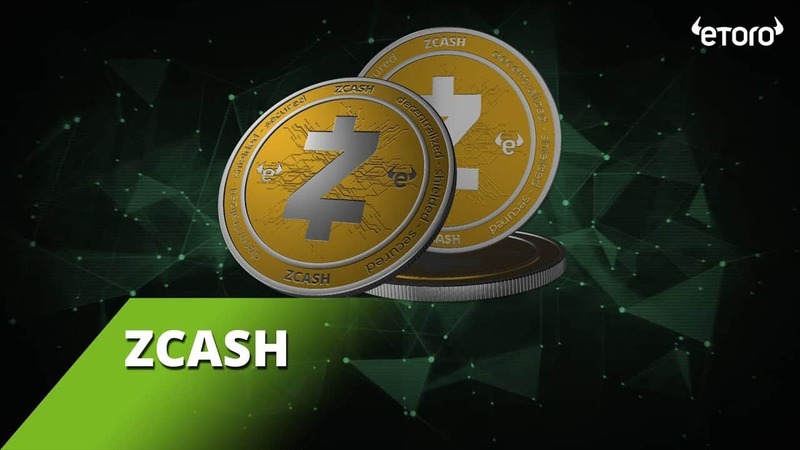 Often referred to as a competitor to Bitcoin, Zcash was developed in 2016, and counts Johns Hopkins University’s cryptographer Matthew D. Green amongst its founders. As investors increasingly seek to diversify their crypto holdings, ZEC joins Bitcoin, Ethereum, Bitcoin Cash, XRP, Litecoin, Ethereum Classic, Dash, Stellar, NEO, EOS, Cardano, IOTA, and BNB on the eToro platform. ZEC will also be added to eToro’s CryptoPortfolio, which enables investors to diversify across all available cryptoassets (weighted by market cap). eToro is a multi-asset platform which offers both investing in stocks and cryptoassets, as well as trading CFDs. CFDs are complex instruments and come with a high risk of losing money rapidly due to leverage. 65% of retail investor accounts lose money when trading CFDs with this provider. You should consider whether you understand how CFDs work, and whether you can afford to take the high risk of losing your money.